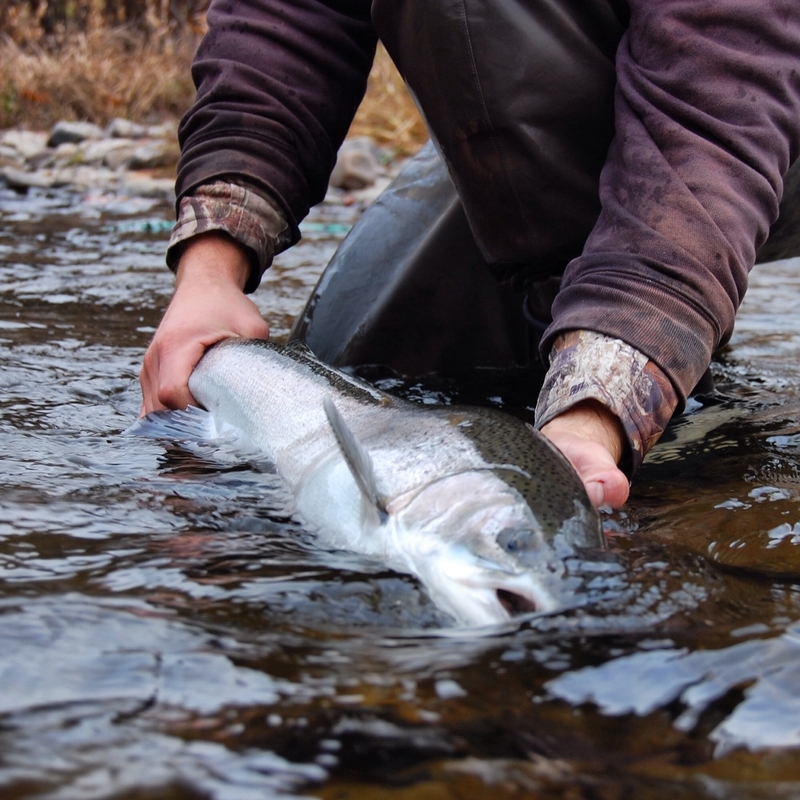 There are plenty of steelhead in the river, they just don’t want to bite like we want them too. The water temp is just too warm for them to act like they should. The plus side, there’s a cold front on the way. Just like there are plenty of fish, there are plenty of fisherman along the banks of the Salmon River. Respect each other’s space and don’t crowd in on other anglers space and have a enjoyable day fishing, isn’t that why were out there?? ?